Miranda's Mumbles, Murmurs and Mutterings: Today's the Day! 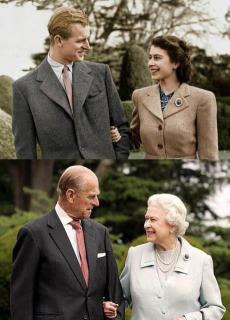 I have been so excited about the Diamond Jubilee and all the celebrations. I am especially looking forward to the Pageant of 1,000 boats along the River Thames this afternoon. Someone has just sent me this photograph which is one of my favourites to have been published of the Queen and the Duke of Edinburgh. This picture is a culmination of a brilliant long standing relationship between two people in the eye of the media, and the gracefulness in ageing together. Its an absolute gem!